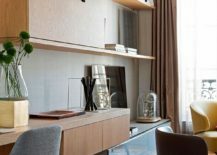 Renovating and decorating an apartment in the fashion and design capital of the world requires plenty of care and attention to detail. 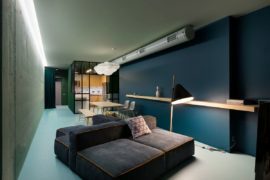 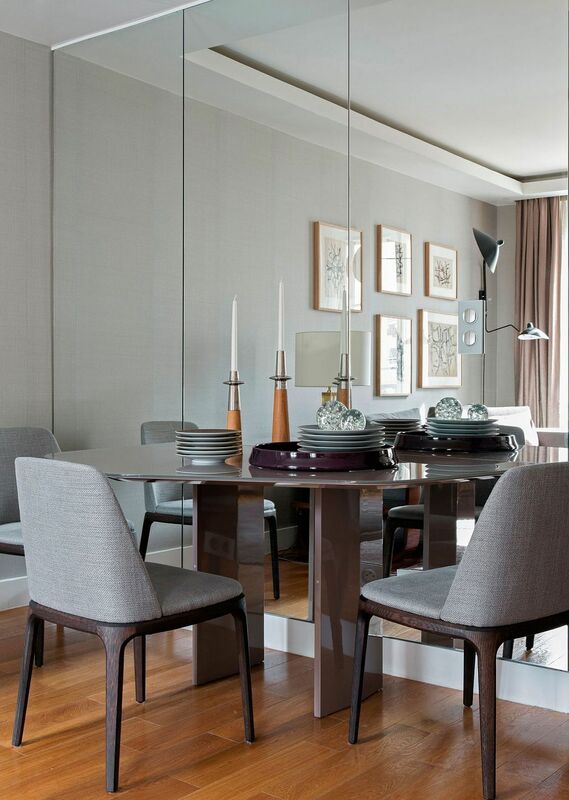 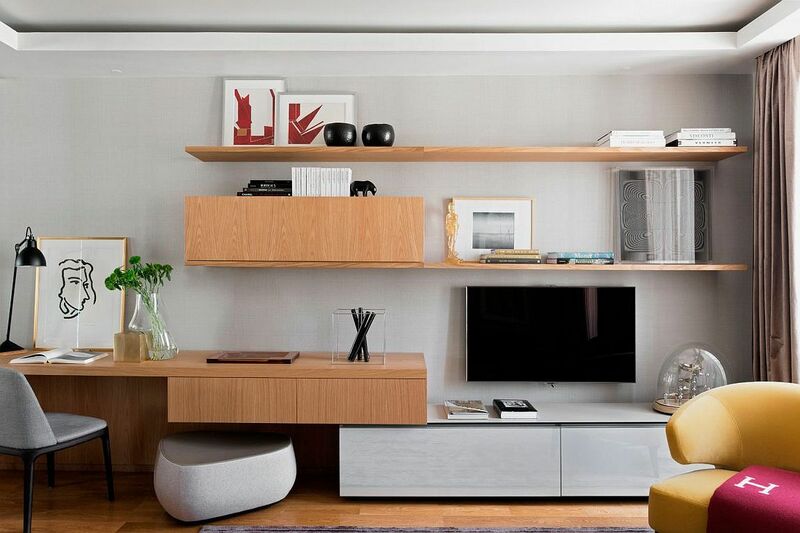 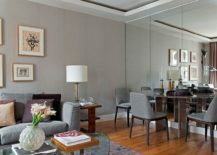 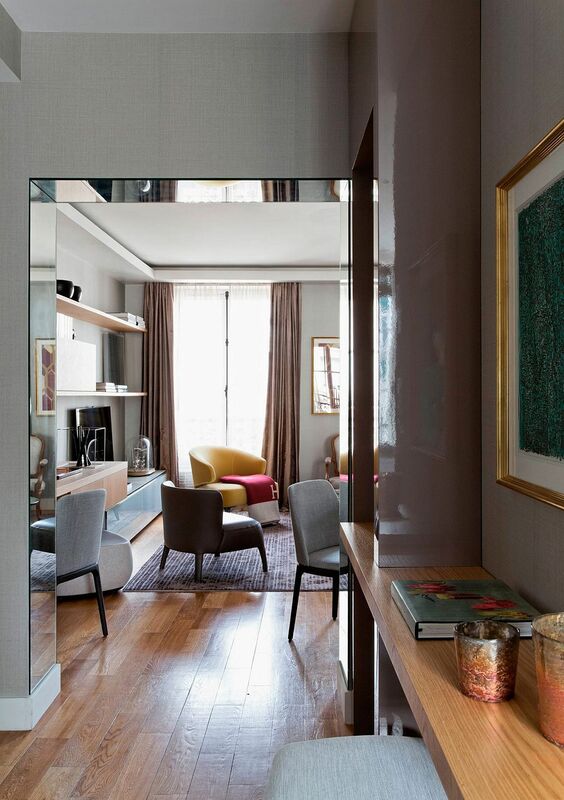 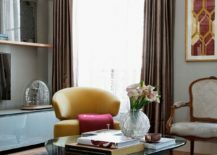 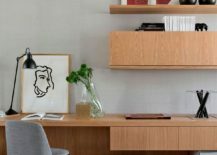 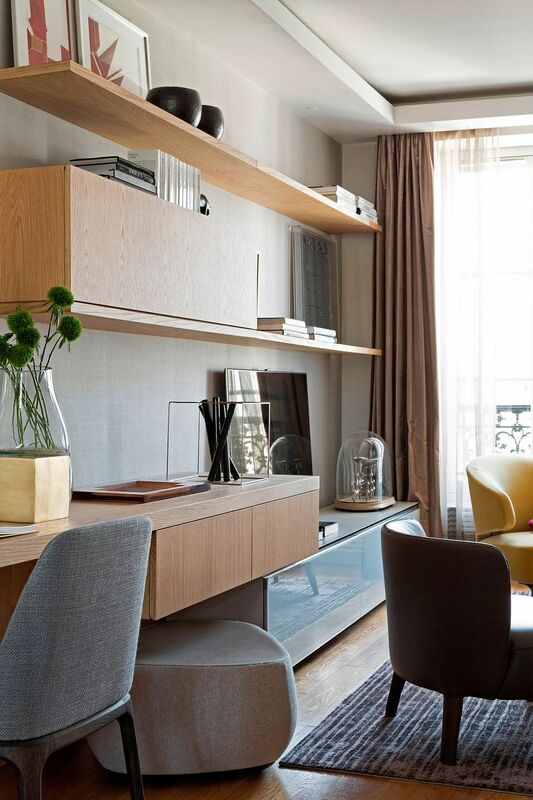 This is precisely what we come across at this chic Paris Apartment that was revamped and given a polished new lease on life by Diego Revollo Arquitetura. 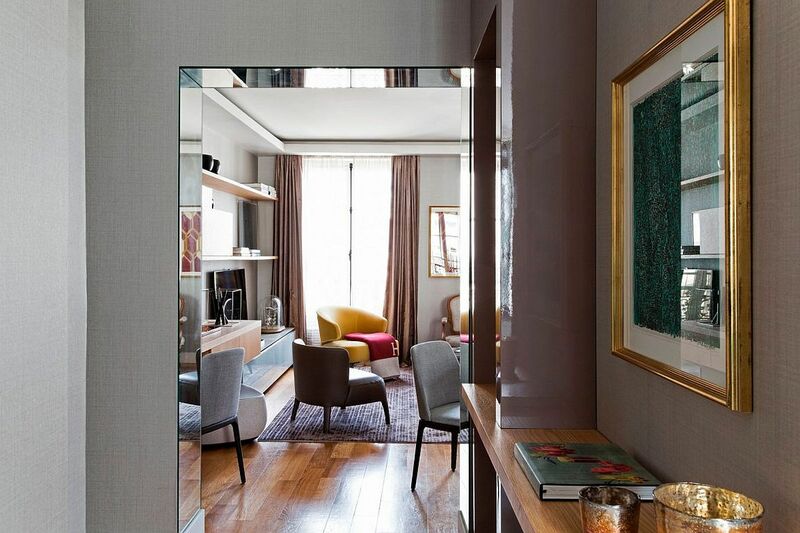 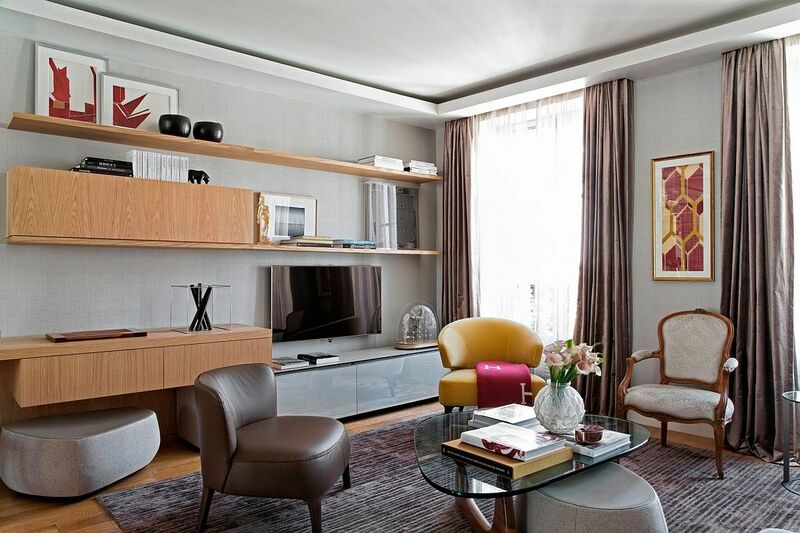 Sitting on the penultimate floor of a five-level building and not too far away from the renowned Champs-Elysées, this is an apartment that demanded sophistication that was unpretentious and truly French in its nature. 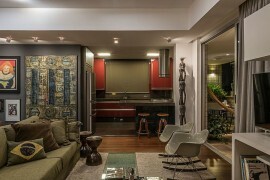 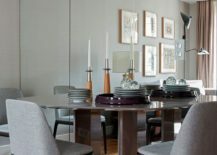 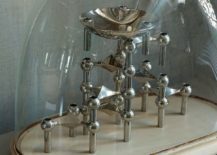 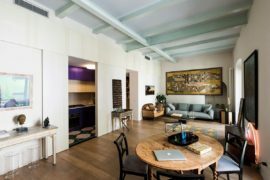 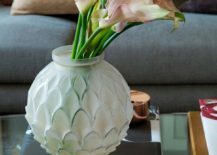 With the homeowners hailing from Brazil, there was also a good amount of Brazilian flavor thrown in, creating a unique fusion of what are essentially contrasting design and life philosophies! 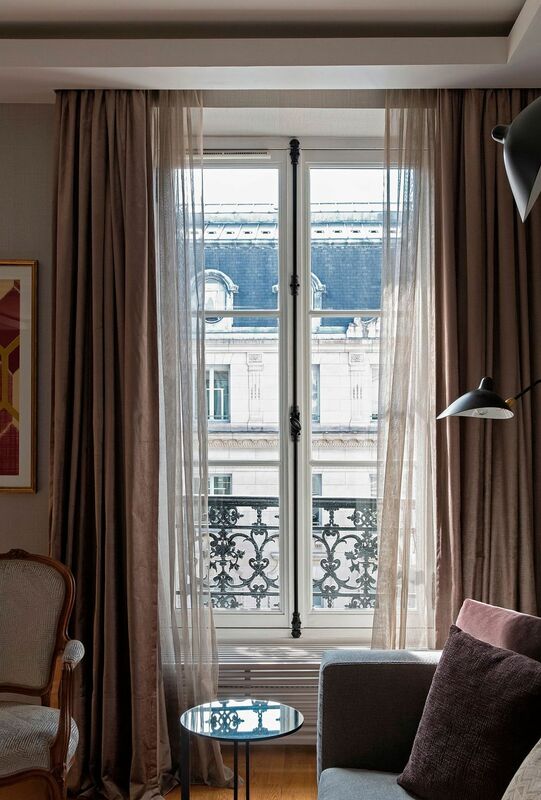 Part of a building that was built in 1856, some of the neoclassical elements of the original structure have been preserved and enhanced within the lovely apartment. 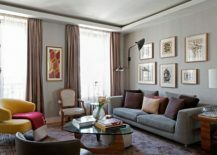 But there is a lot more to this stylish space beyond its historic past, glamorous neighborhood and the view outside the windows. 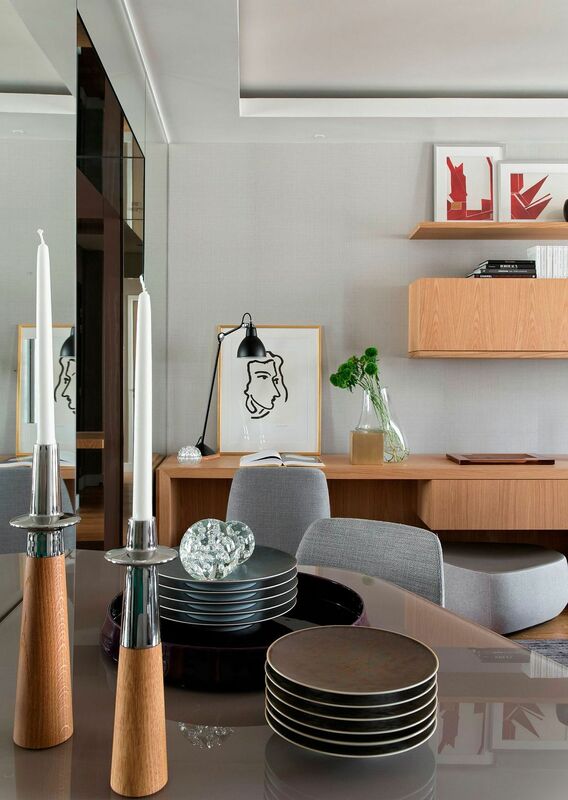 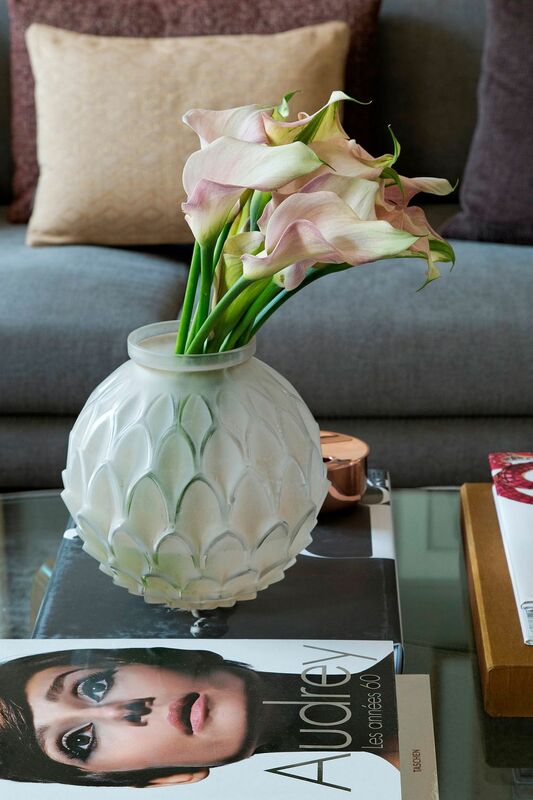 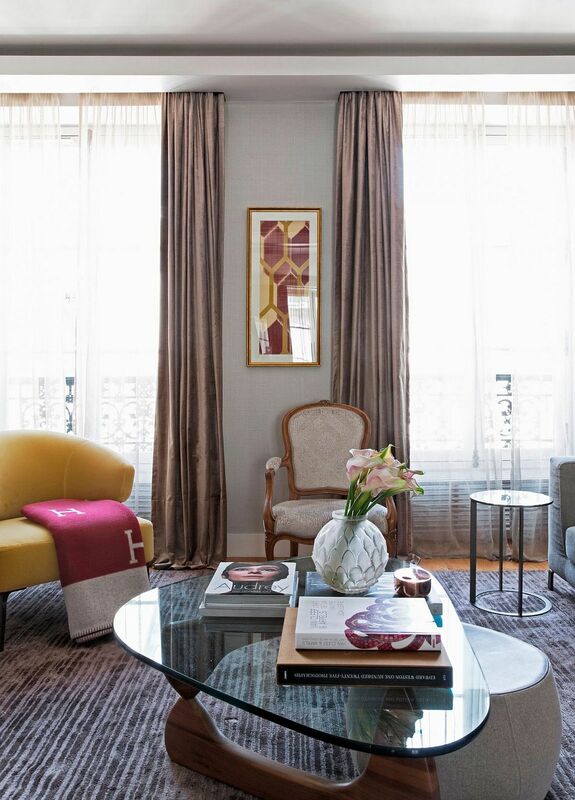 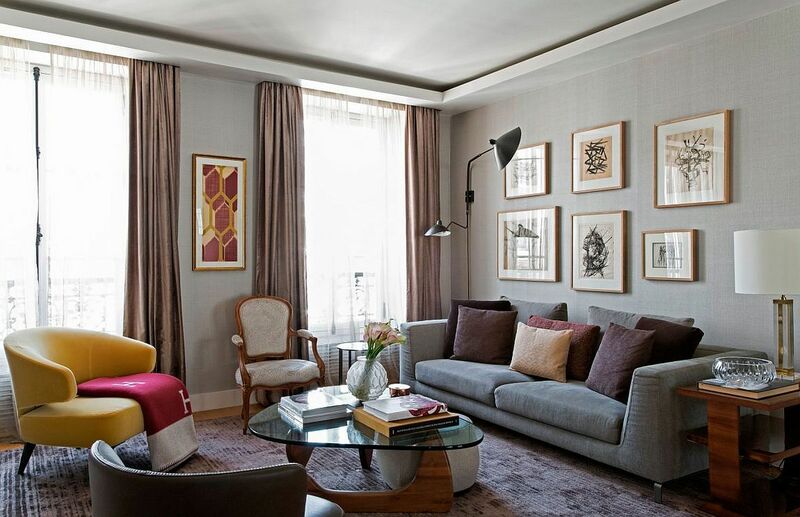 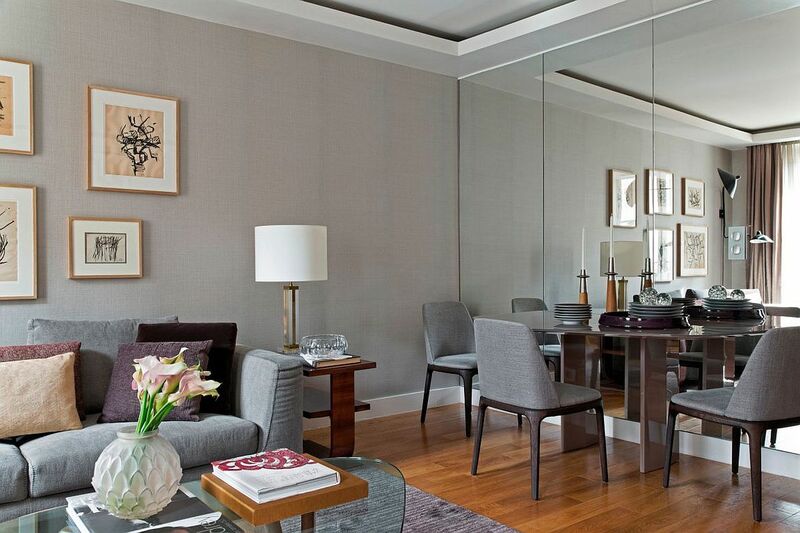 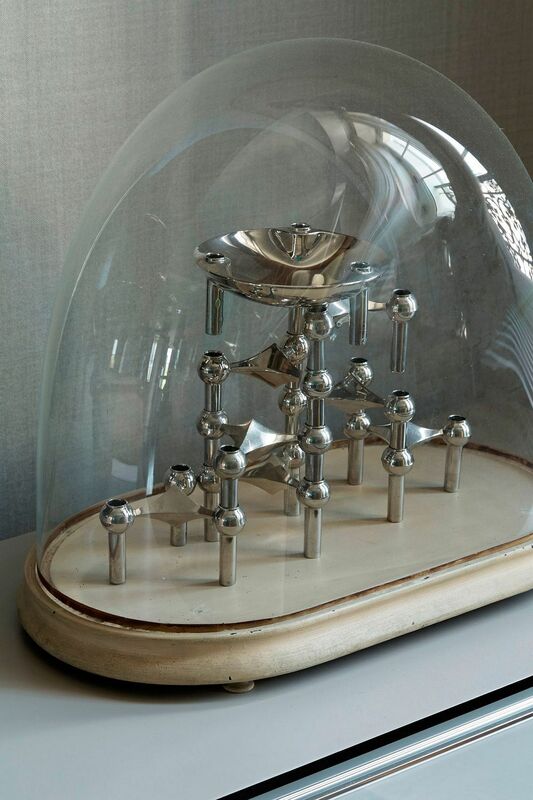 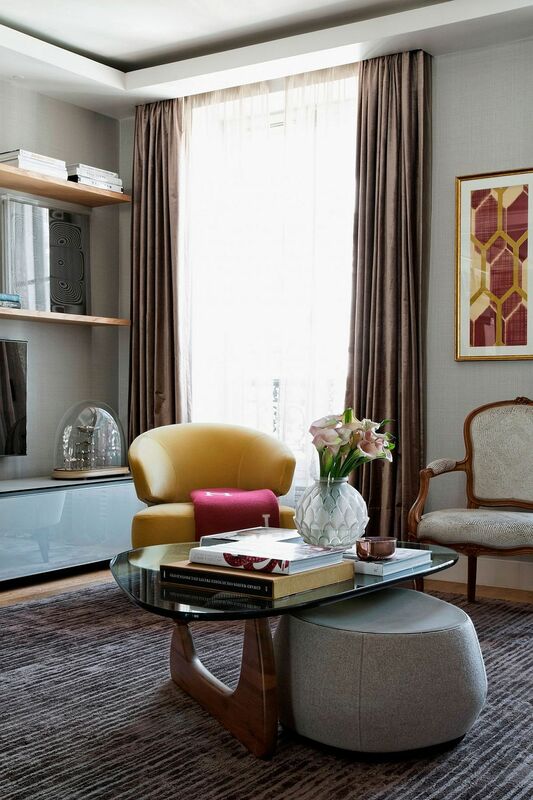 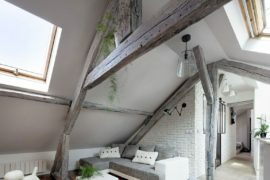 The living space is filled with fashionable accessories and luxurious decor that feels well and truly Parisian. 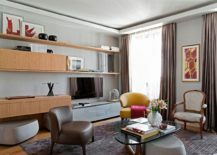 A colorful chair in yellow grabs your attention instantly, even as the media wall with its TV unit and floating wooden shelves and cabinets ends up becoming the showstopper of the space. 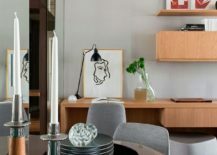 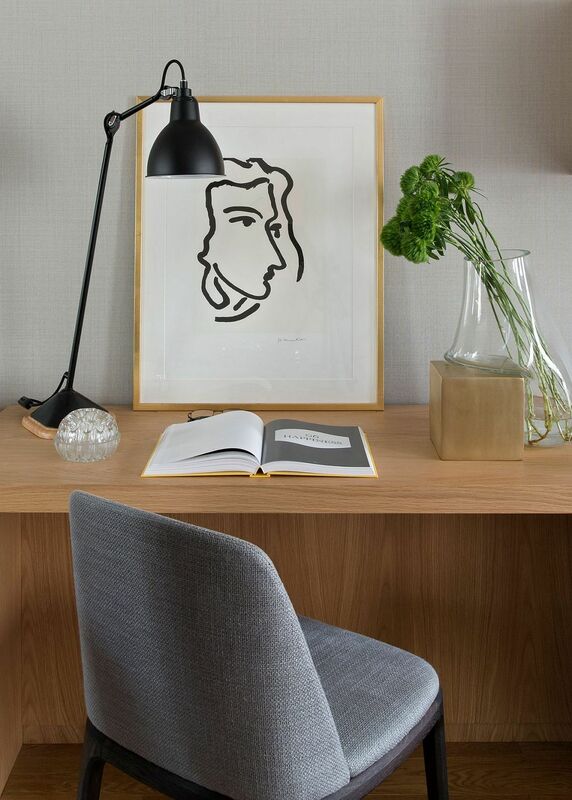 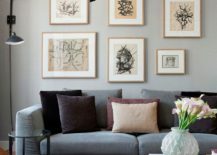 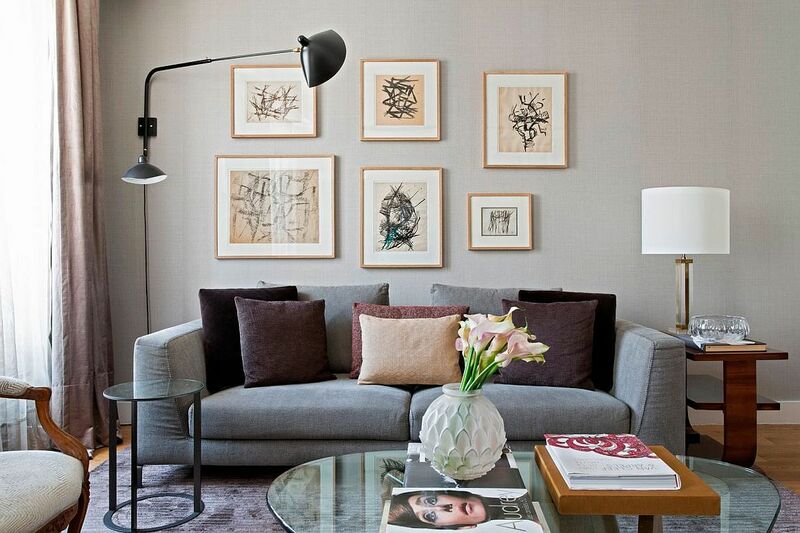 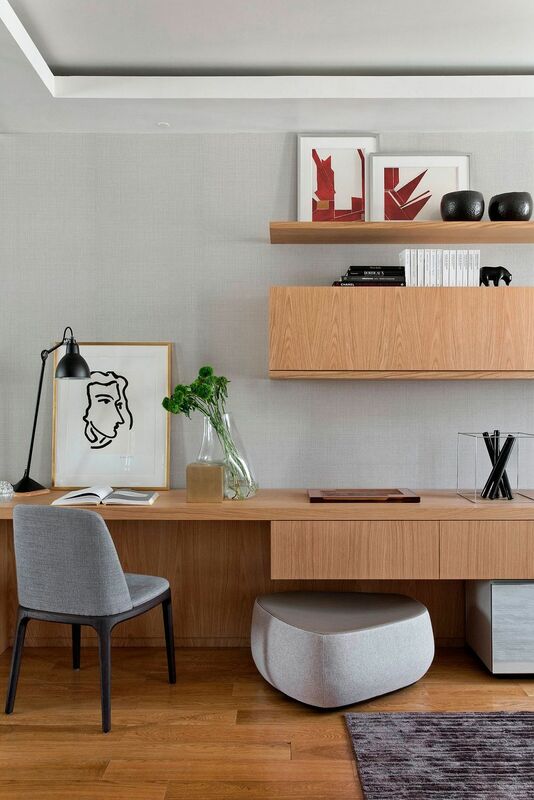 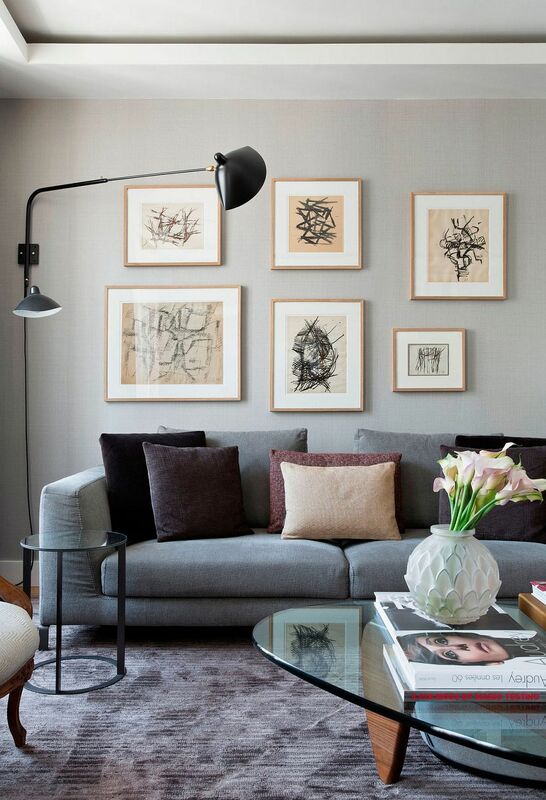 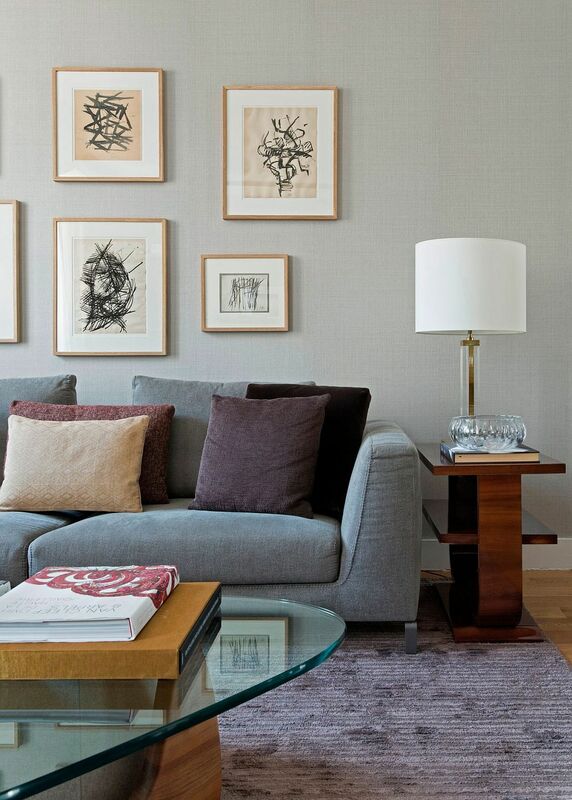 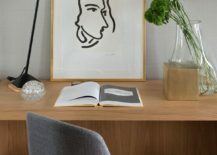 Original artwork finds its place on the walls of the apartment, with smart lighting accentuating architectural features and the gallery wall to perfection. 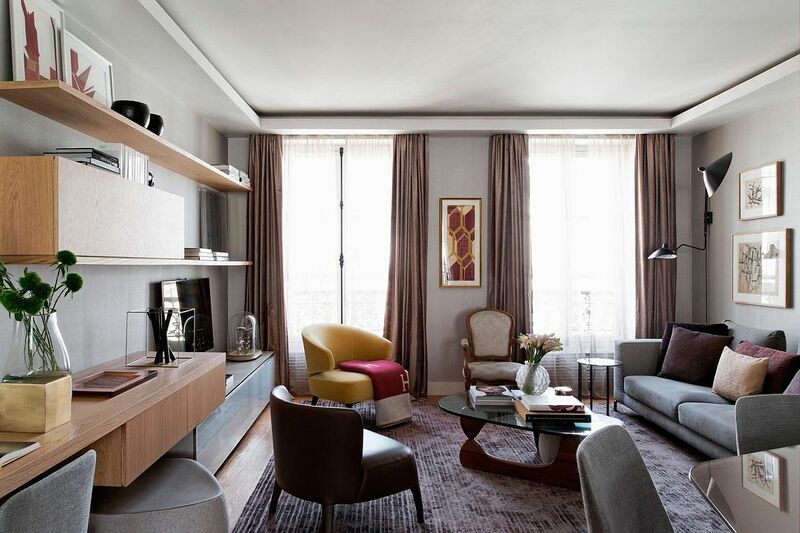 Packing plenty of punch in just 100 square meters, this beautiful home in Paris is as elegant and inviting as the city itself!